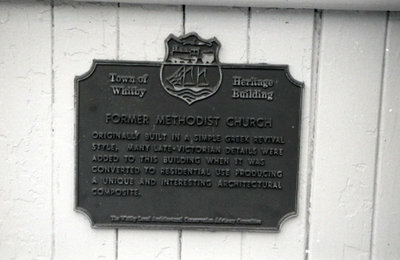 A black and white photograph of the Heritage Building plaque for 300-304 Mary Street West. 300-304 Mary Street West, c.2006, Carl Ferencz. Whitby Archives A2013_013_005D.